Part 1 in the study of reflections in water. Some beginners struggle to indicate realistic reflections in water. 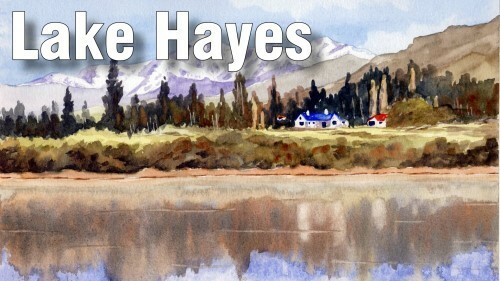 You will use a photograph of a portion of Lake Hayes in the South Island of New Zealand and paint it in watercolour. Paint the sky ultramarine blue or cerulean blue. 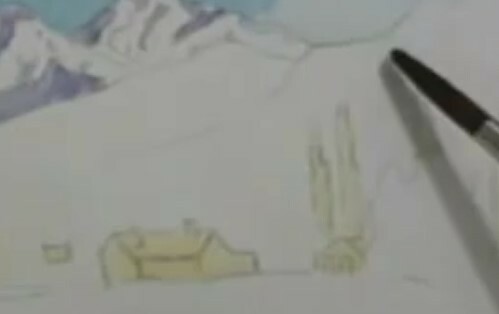 Start at the top edge of the paper and move down to the top of the mountains. Use a paper towel to dab out clouds, if desired. Blow dry. Use cerulean blue and a touch of alizarin crimson for the shadows on the distant mountains. Use a darker mix for the deepest shadows. Blow dry. 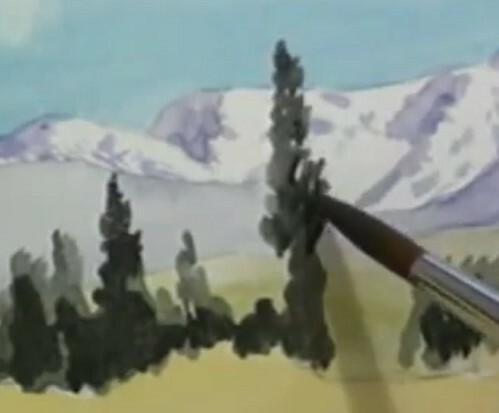 Apply masking fluid to the tree trunks, poplar trees and buildings. Blow dry. 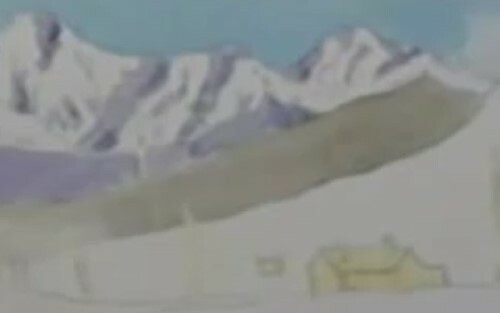 Mix yellow ochre, ultramarine blue and alizarin crimson for the mid range mountains behind the house. Mix yellow ochre, a touch of ultramarine blue and a touch of burnt sienna for the foothills. Add some cadmium yellow to this mixture for the base of the mountain on the right. Mix ultramarine blue and cadmium yellow for the mountains to the left of the house. Paint a strip below the house cadmium yellow. Blow dry. Darken the green for the trees with ultramarine blue. Vary the height and shape of the trees. Add yellow ochre and orange here and there. Blow dry. Remove the masking fluid with a piece of masking tape. Use a wet brush to lightly go over the tree trunks. Paint the popular trees yellow ochre and then add a hint of orange. Paint the roof of the house ultramarine blue, the roof of the garage cadmium red and the roof of the small building orange. Mix ultramarine blue and burnt sienna for the windows and doors of all of the buildings. Add shadows on the buildings. Add bushes in front of the small building and shadows to the poplar trees. Use a lighter green for the bush beside the garage. 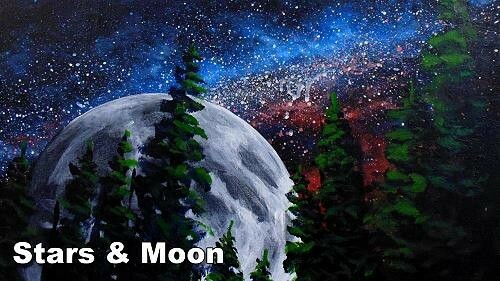 Add cadmium yellow to the right side of the bush and a darker green to the left side of the bush. Mix cadmium yellow with green already on the palette for the area between the cadmium yellow strip and the sand. Drop in some burnt sienna here and there to indicate bushes. Add some darker greens. Mix a dark brown with dark green and burnt sienna for more bushes along the edge of the sand. 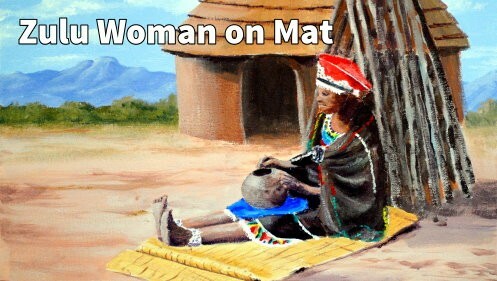 Do all of this while the area is wet so that the colors merge into each other. 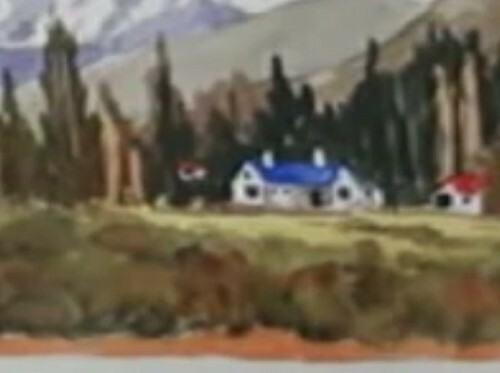 Use cadmium yellow and ultramarine blue for the area below the house. Mix ultramarine blue and burnt sienna for bushes and shadows along the sand. Add a bit of cadmium yellow into the right side of the bush by the garage. Use yellow ochre on the left side of the bush. Use dark green underneath the bush for shading. Paint the sand orange. Blow dry. Use light orange for the reflection of the sand. Blow dry. 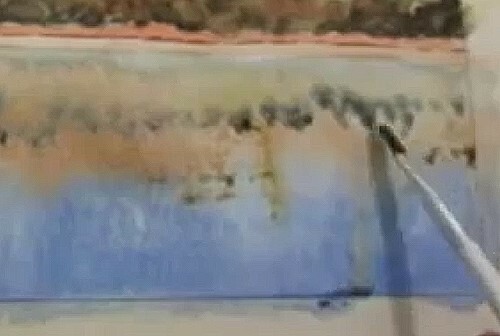 Separate the sand and its reflection by adding an intermittent line along the lower edge of the sand. 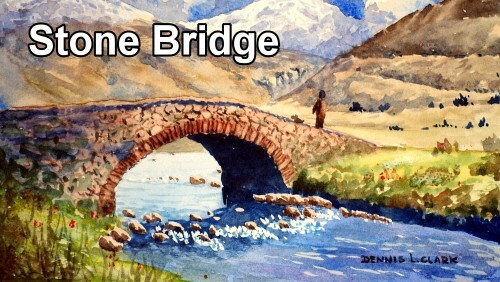 The water will be painted wet in wet so the colors should be mixed before starting. 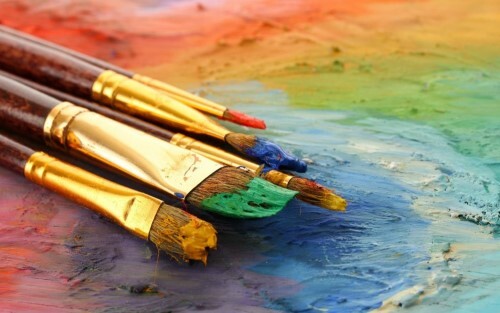 The mixtures needed are ultramarine blue with a touch of alizarin crimson, ultramarine blue with yellow ochre, cadmium yellow with a touch of ultramarine blue and burnt sienna. Wet the water area. Turn the painting upside down. Paint the blue mixture across the upper edge. Pull the color down and then add another line of darker blue across the upper edge. Turn the painting right side up. 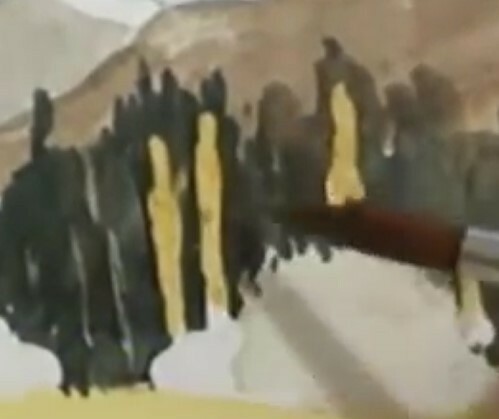 Paint a strip of the green mixture below the sand reflection and then a strip of burnt sienna. Turn the paper upside down again to allow the paint to run. Turn it back right side up. Add more bush colors into the reflection. Add some of the verticals in the water. Get rid of any sharp lines in the water by dabbing lightly with the edge of a damp brush. 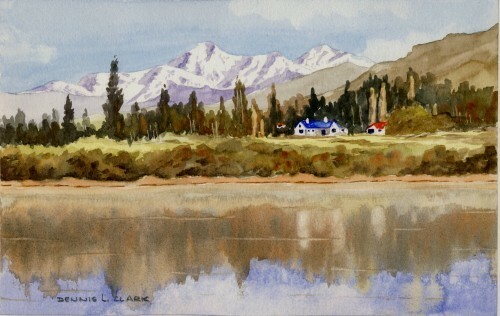 Pull out the reflections of the white buildings with a ‘thirsty’ brush. Dab out the reflection of the snow and clouds with a tissue. Lift out reflection lines with a damp flat brush.